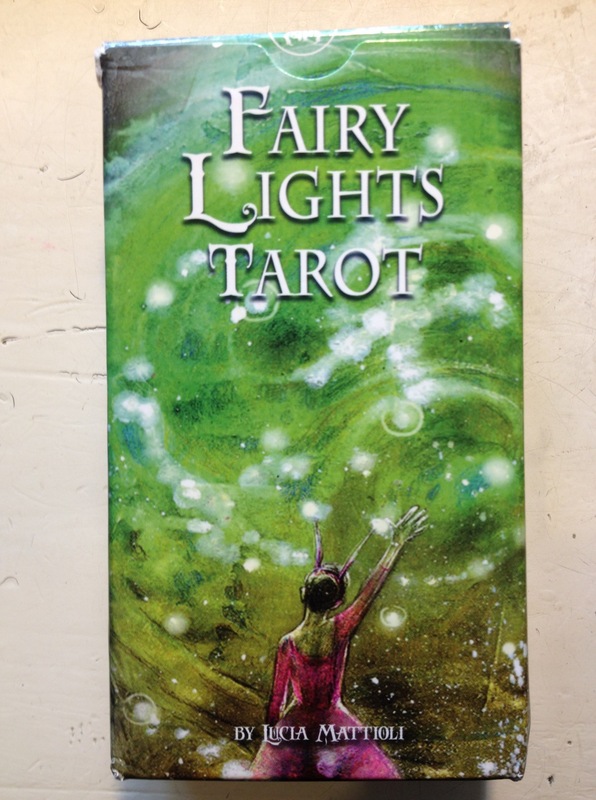 The Fairy Lights Tarot is a new (to me) deck by Lucia Mattioli, who created one of my all-time favourite decks, the Tarot of the Secret Forest. My tastes don’t usually run to the overly sweet (as so many new tarot decks are), and usually anything with “fairy” in the title is an indication that the deck doesn’t really have anything for me. But – it’s Lucia Mattioli. There was never going to be any question about whether I’d get this one or not. It’s been a huge day today! Steve’s stag’s night is on tonight, and it’s taking place up the coast somewhere at an “adventure lodge”. We left the house at 9, to go pick up Hamish, one of his friends, at the airport, and then we all drove up the coast to Steve’s parents’ place, where everyone then transferred to his Dad’s car, and the three of them headed off into the wilderness, hehe. It seems odd to me that a deck as cute and sweet as the Old English just isn’t doing it for me right now. Maybe it’s because I have enough “cute and sweet” going on and something a bit more gothic is what I need to provide some balance. That said, despite my interest in things gothic (I love gothic literature), I don’t own many “dark” decks. I do enjoy the Bohemian Gothic deck by the Magic Realist Press, as well as the Lasenic, and the wonderful, whimsical yet very, very, creepy Tarot of the Secret Forest. 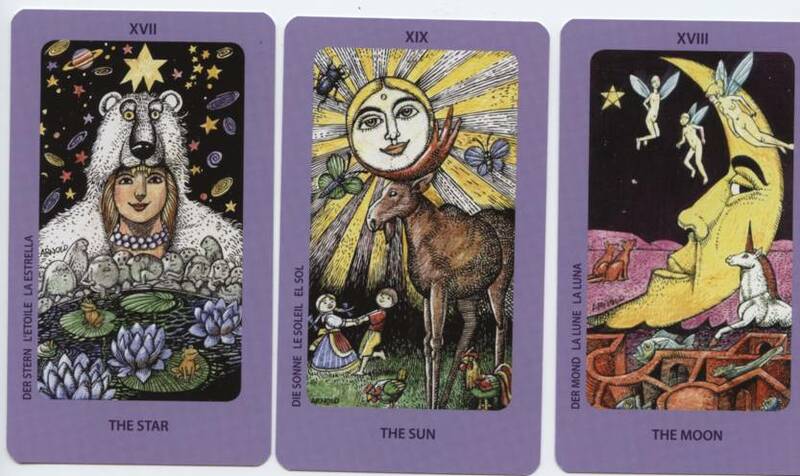 The Secret Forest tarot, incidentally, is often-maligned because of its odd backs, that show an altered black and white version of the card, rather than a traditional back. (It’s easy not to be put off by this. When you shuffle and deal the cards, just don’t look!). 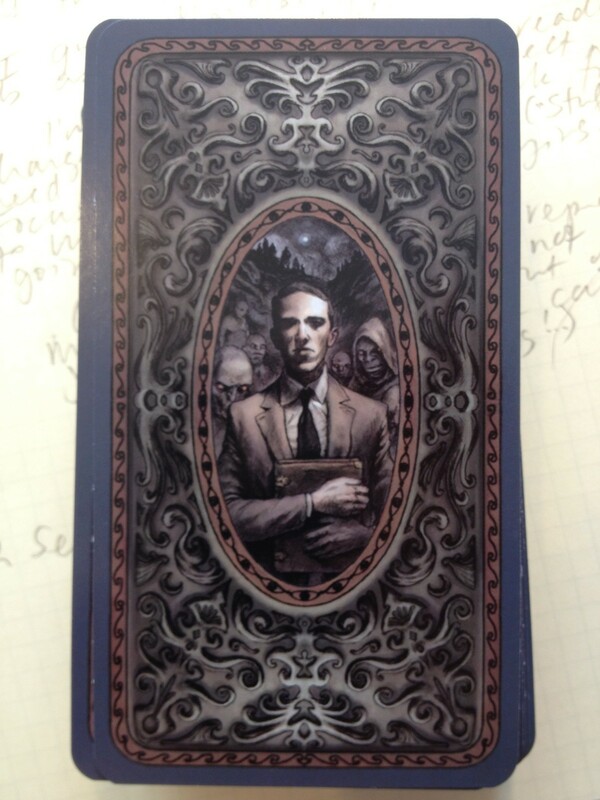 Enter the Dark Grimoire tarot. I loved my time with the International Icon Tarot. Simply loved it. 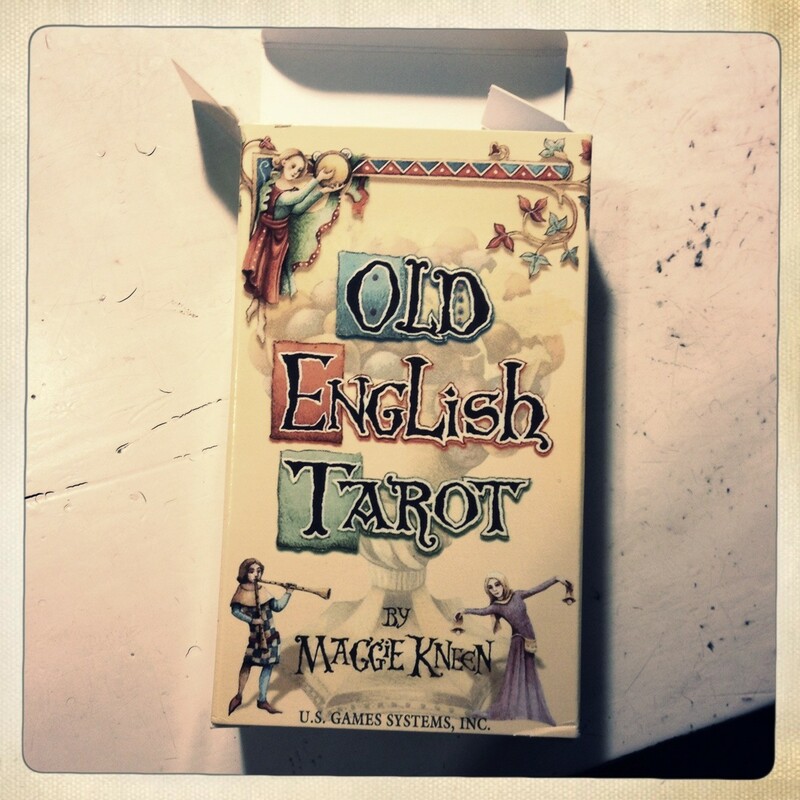 It’s an incredible, incredible deck, and I really recommend it to anyone interested in taking up some in-depth study of tarot symbolism and colour. 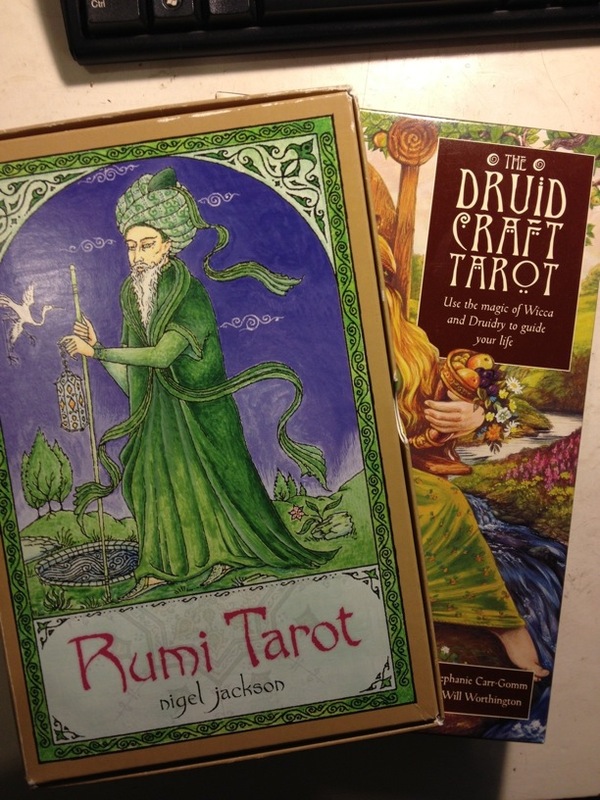 I feel sort of bad talking about this here, especially seeing as one of the decks I recently got rid of was one I spent a bit of time with here, BUT: I’ve been having a bit of a tarot clear-out lately. It started after the frenzied trading of a Trade Train (have I spoken of this before?) where many decks were swapped and acquired. I started to look at my collection. It was starting to feel a bit unwieldy. A bit wobbly. And in a way I feel like I’m only getting started. I feel like doing the ‘One Deck Wonder’ thing has set me along this path. Sticking with just one deck for a few months has made me a lot more critical about the decks I want to use, and also my buying habits! It’s so easy to be tempted by every pretty “face” that comes along (I’m thinking of you, Dreaming Way). But all too often those pretty faces don’t have a great deal of substance behind them. I know I dutifully recorded my weekly use of DW (and I am honestly not meaning to pick on just one deck; the DW is whimsical, pretty, with gorgeous card stock, and backs), but when I think of picking it back up again I just feel no desire at all. Strange? The Dante was another. I’m a bookworm, and so have been drawn to literary decks in the past (cue the Jane Austen). 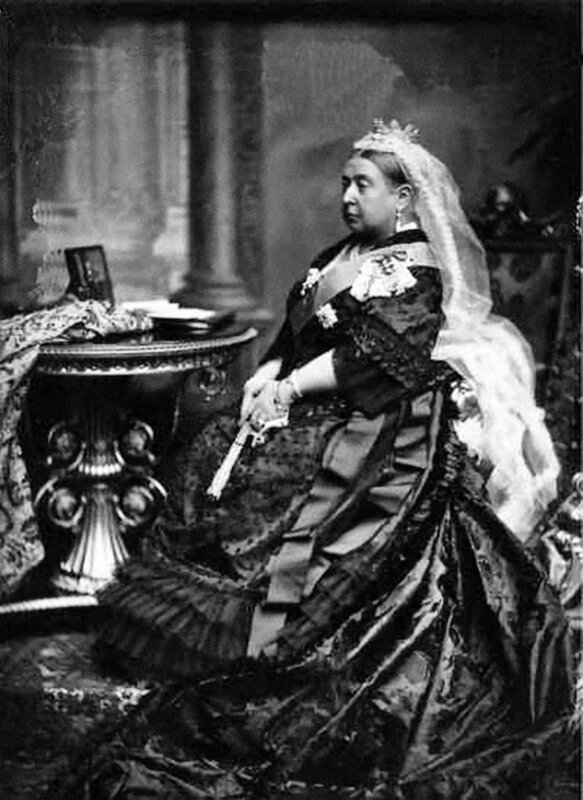 But invariably these do not translate well to tarot (the Place Vampire excepting). Again, just too many layers. Usually I like layers. Art with depth. 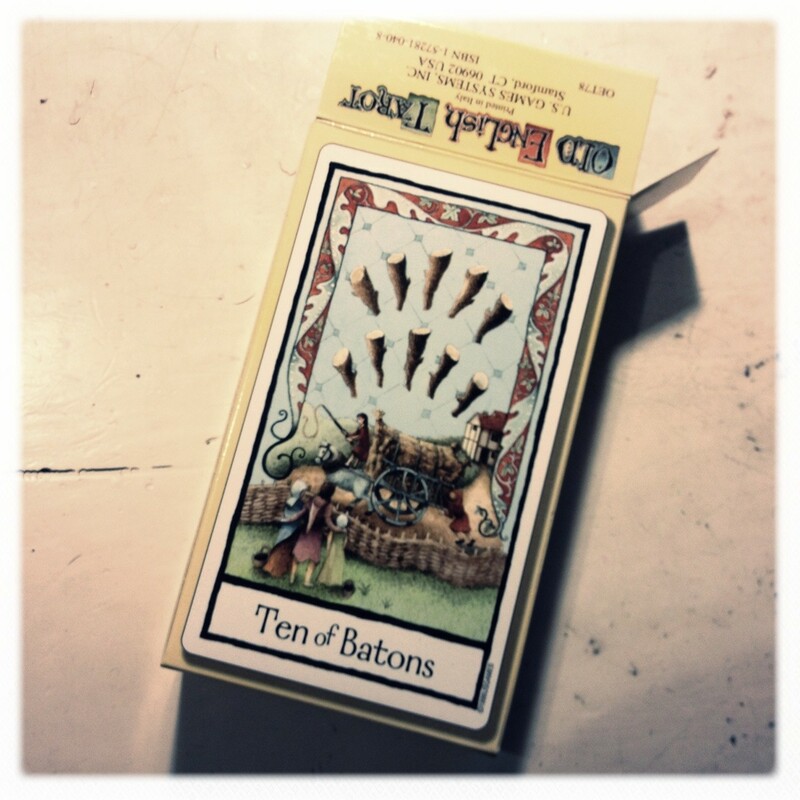 But I guess my tastes in tarot do tend toward the simplistic. I’m ok with that.